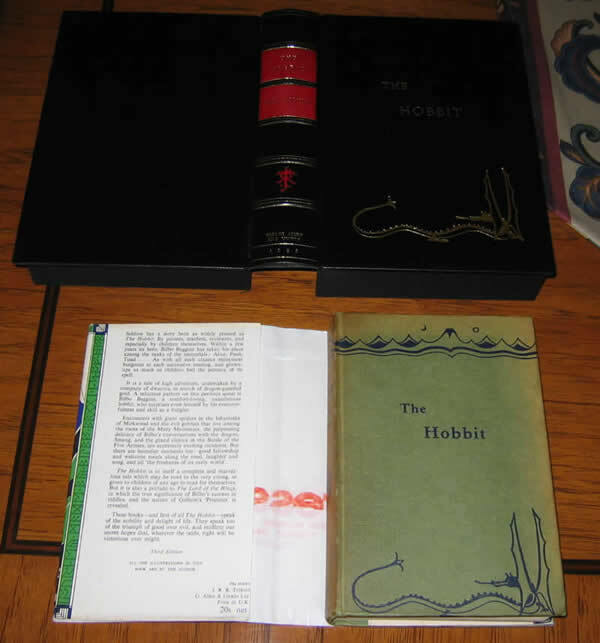 Signed by JRR Tolkien on the Half Title page - 1968 18th imp UK Hobbit - SOLD Fourth printing of the 3rd Edition, or 18th printing overall, was published in 1968, signed by J.R.R. Tolkien on the half title page. A Very Good copy of an extremely collectable book. Fourth printing of the 3rd Edition, or 18th printing overall, was published in 1968, signed by J.R.R. 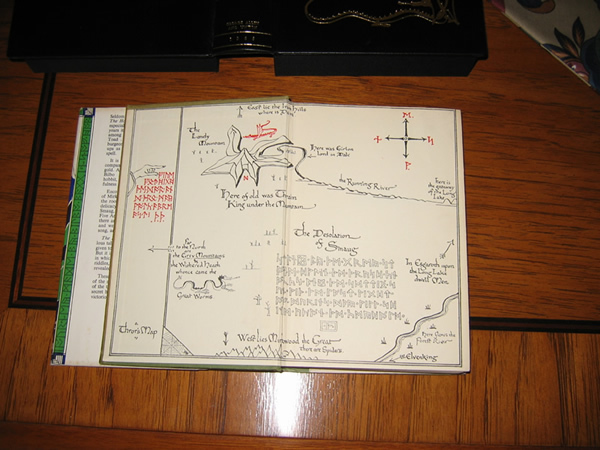 Tolkien on the half title page. A Very Good copy of an extremely collectable book. 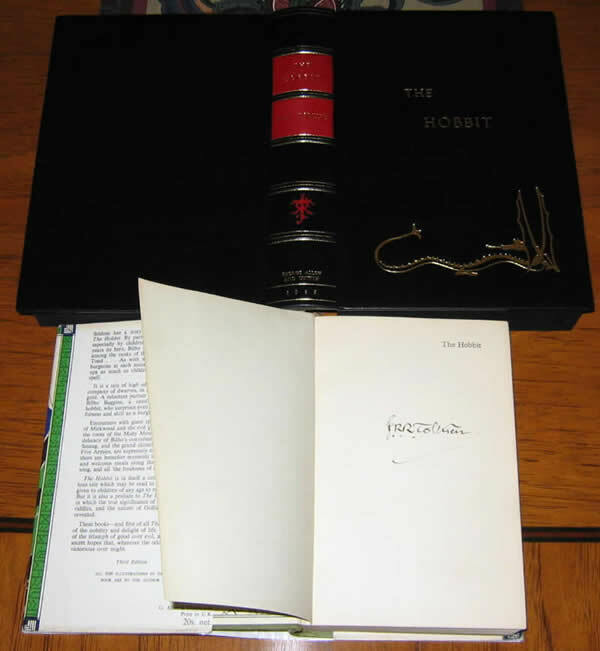 Fourth printing of the 3rd Edition, or 18th printing overall, was published in 1968, signed by J.R.R. 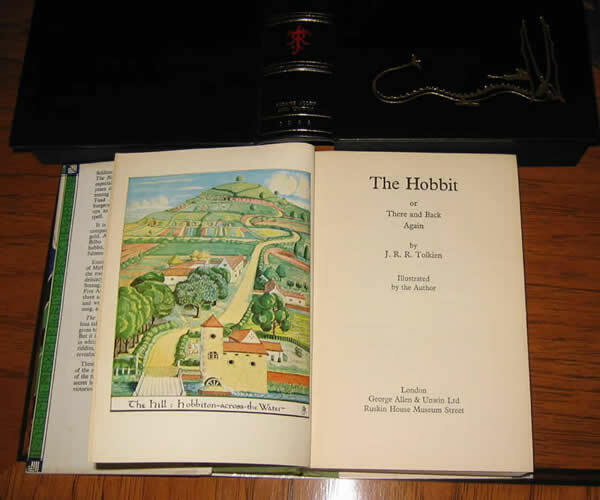 Tolkien on the half title page. A Very Good copy of an extremely collectable book. The original (missing) dustjacket has been replaced by a Very Good Plus/Near Fine jacket from another copy of the same issue. Protected by a full black leather clamshell case with red title and author inserts on spine. 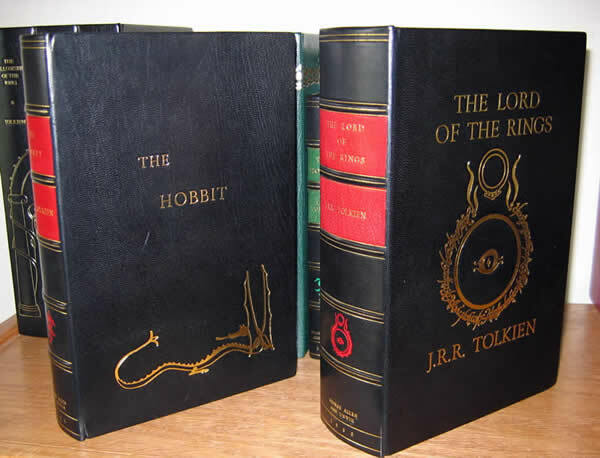 Case is gilt stamped with Tolkien's "Dragon" on the front boards, raised bands and "JRRT" monogram on the spine. 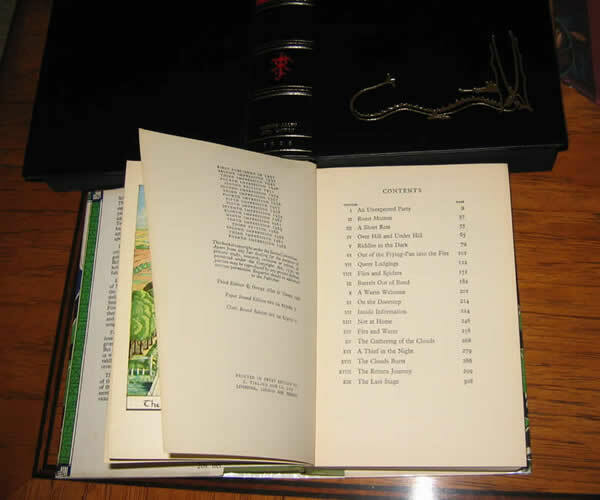 The spine and boards of the book are faded due to light exposure over the years. 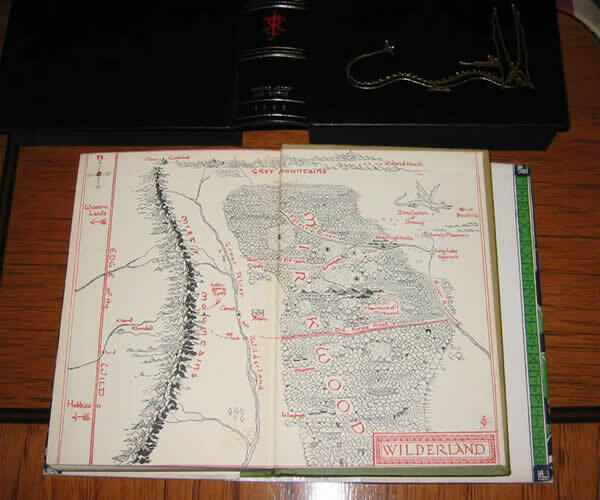 Maps and text block, clean and tight, without foxing, soiling, or writing (other than Tolkien's signature). 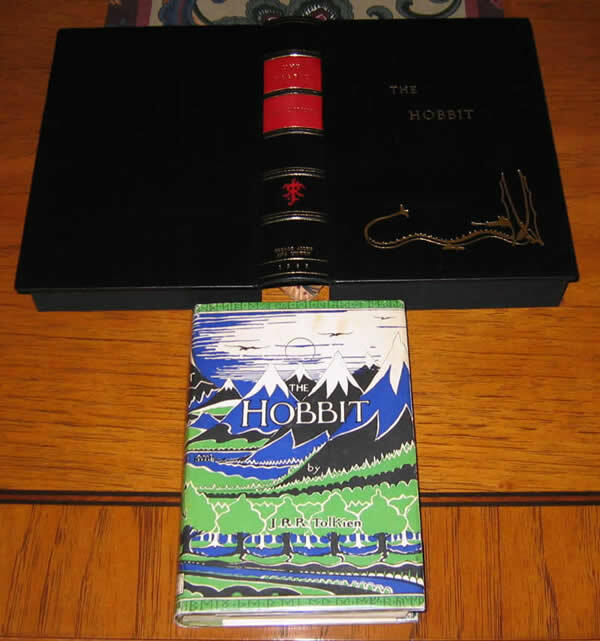 Whole and complete, not many signed copies of The Hobbit are available.